Very satisfied excellent service next day delivery as promised. Courier very polite and helpful. Only problem was carry handles took time to attach to the battery a little awkward.i have used Tanya batteries in the past and been satisfied. 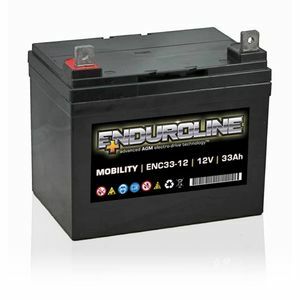 I recently purchased two of these batteries for my granddaughter’s mobility scooter and they have passed all expectations. The scooter is used everyday and whereas we used to worry if the batteries it had would last the journey these new batteries hardly notice the 5 mile runs we use it for. Arrived very quickly, well packaged. Where not as charged up as they usually are, where on charger for 3/4 hr. Don't know if this affects life of batteries. New nuts and bolts, did not have nuts with them, had to use old ones. Came when it said and did what it was supposed to!!! Good price. Prompt delivery 2 days. Works great. Excellent service. Delivery on time and in perfect order. When fitted worked perfectly - it definitely 'does what it says on the tin'! Correct battery was delivered within less than 24 hours of ordering. The battery was easy to fit and is a good replacement for the original. So far no problems.